Drumroll please! Dum Dum Donutterie has arrived to the shores of Dubai. Dum Dum Doughnuts are the world’s first artisan baked doughnut/croissant doughnut brand. 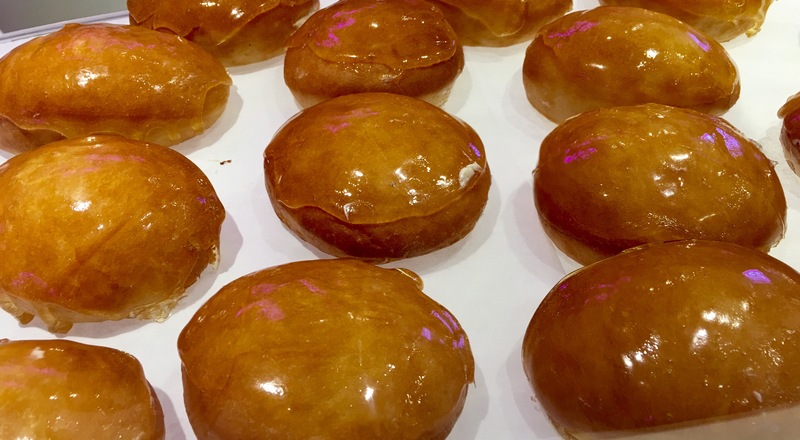 Dum Dum offers beautifully baked doughnuts, that are not fried unlike the regular doughnuts. 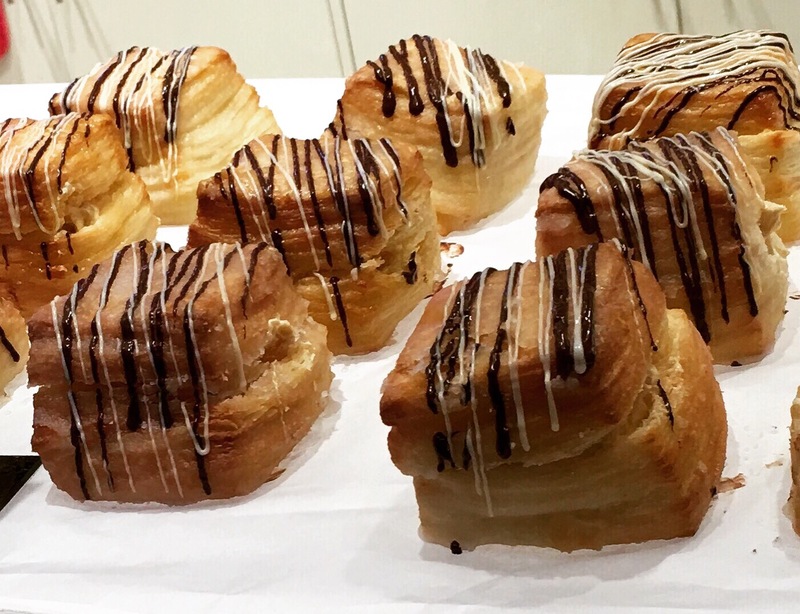 At Dum Dum Donutterie everything is baked freshly using natural ingredients to create a wide range of unique and scrumptious sweet treats. The brand was first launched in 2013 in UK. Paul Hurley is the creator of the brand. 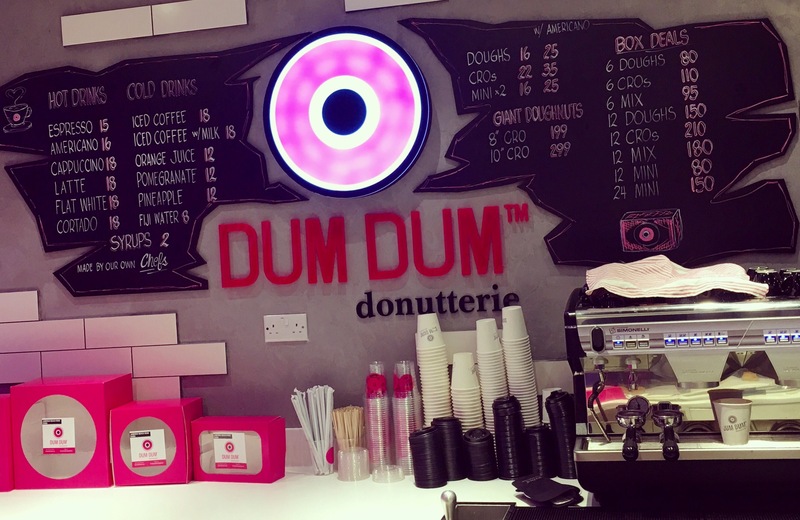 With outlets in London’s hip and happening Box Park to the sophisticated Harrods, Dum Dum Donutterie has launched it’s first international branch in Dubai. The Dubai branch is located in the Jumeirah Beach Road. I was invited to the opening of the first flagship store of Dum Dum Donutterie in Dubai. I need to make a confession here-I am a big fan of sweets especially doughnuts and I was wondering whether the taste of the baked doughnuts will match up to the fried ones. My thoughts were put to rest as soon as I sank my teeth into one of the super delicious doughnuts. Good heavens! You need to try it, to believe it. The decor of the place is bright and beautiful. The whole place is done up tastefully. Loved the quirky and trendy interiors. Dum Dum Donutterie is not any regular place with the same menu every day. Their selection changes daily as they bake all the sweets freshly on the spot. 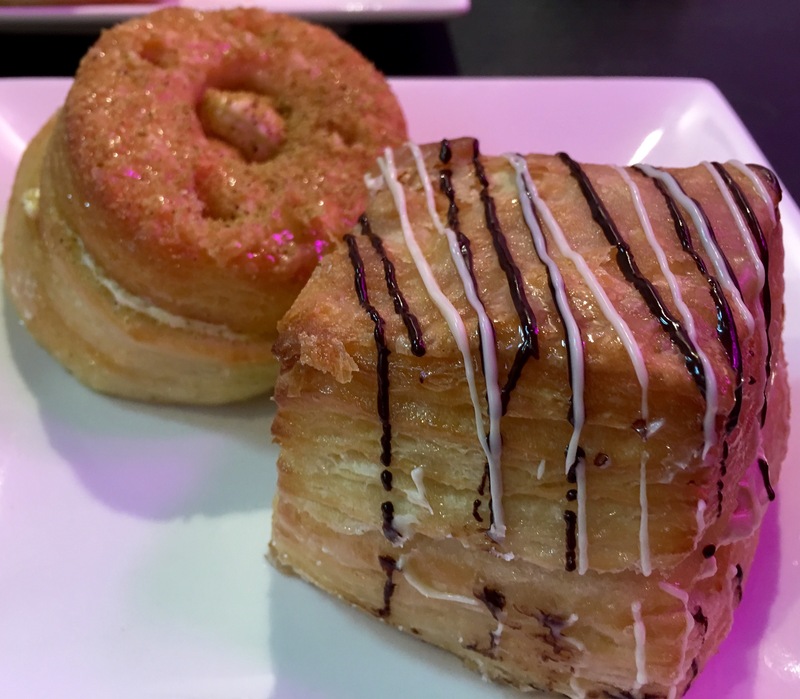 The Zebra Cro is their signature Cronut(doughnut marries croissant). As I was late to arrive it was already sold out. So I need to make a trip soon to tuck into it. I tried six of their sweet treats- PB & J, Cinnadum, Creme Brûlée, Chocolate Doughnut, Dum Dum Dubai and Yum Yum. PB & J is a peanut butter glazed doughnut with jelly inside. It was fantastic. 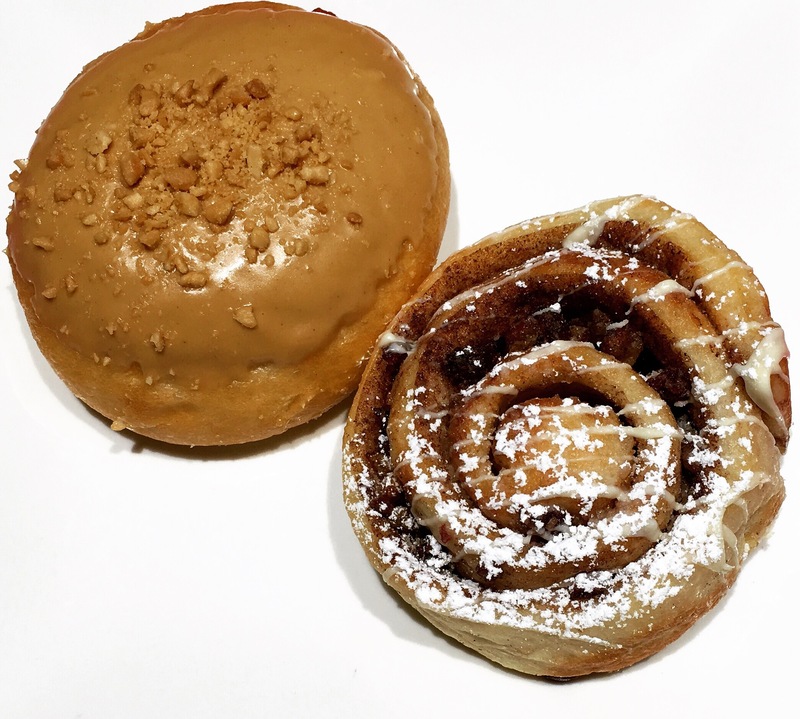 Cinnadum is a crossover between a Cinnabon and doughnut. If you love Cinnabon, you will definitely love Cinnadum. Creme Brûlée is sweet and delicious, but the glaze on the top was quite sticky. Chocolate Doughnut is a must-try for all the chocolate lovers. 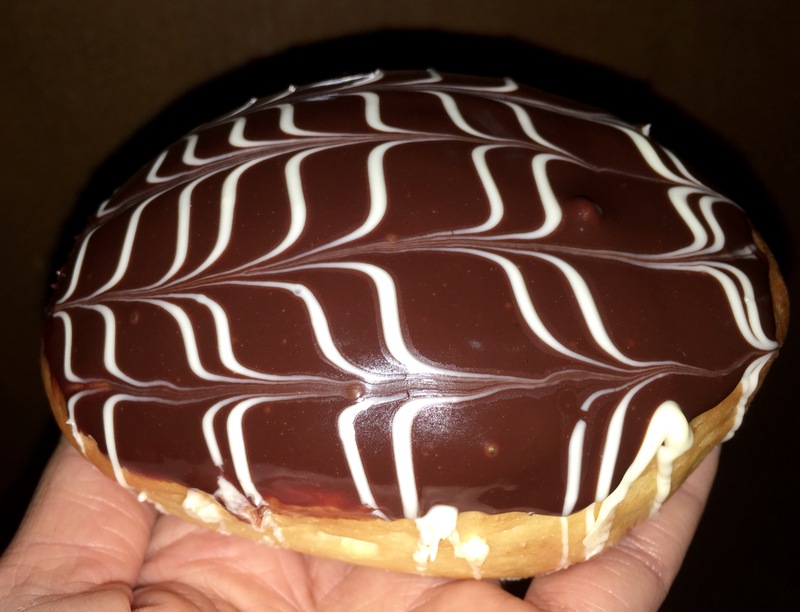 It has a chocolate glaze with chocolate cream inside. 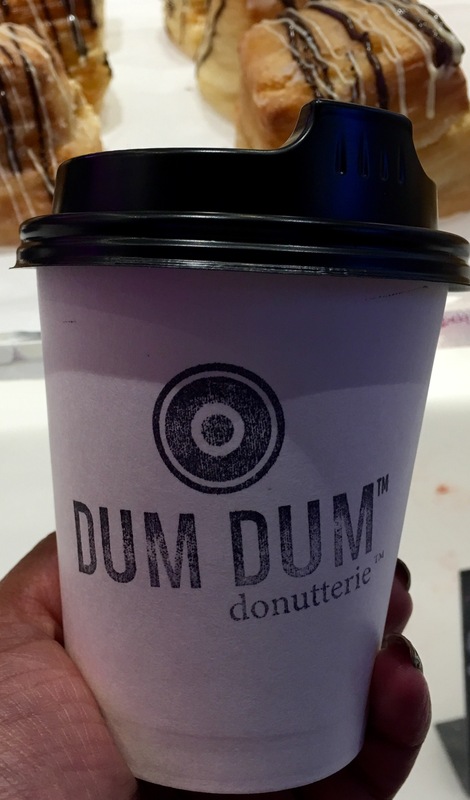 Dum Dum Dubai is a Dubai inspired Cronut. It is stuffed with mild Karak infused cream with hints of cinnamon. It was excellent. Yum Yum tastes as delicious as it’s name. Yum Yum and Dum Dum Dubai are my joint favorites. Their beverage list consists of coffee, tea, milkshakes and fresh juices. I had a Flat White. Next time I will make sure to have the Iced Karak Latte that everyone was raving about. Dubai’s dessert scene has just got a little sweeter. Dum Dum Donutterie is a place to visit for deliciously baked and handmade doughnuts.